The Sasta Peski Ventile Anorak is a hard-wearing and versatile outer layer made from 100% weatherproof cotton. 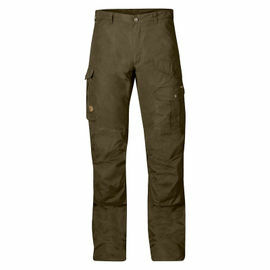 This garment excels in hunting, skiing and trekking situations, but is just as suitable as an all-round outdoor anorak. Despite its understated appearance, the Peski Anorak is a technical garment with a range of useful features. 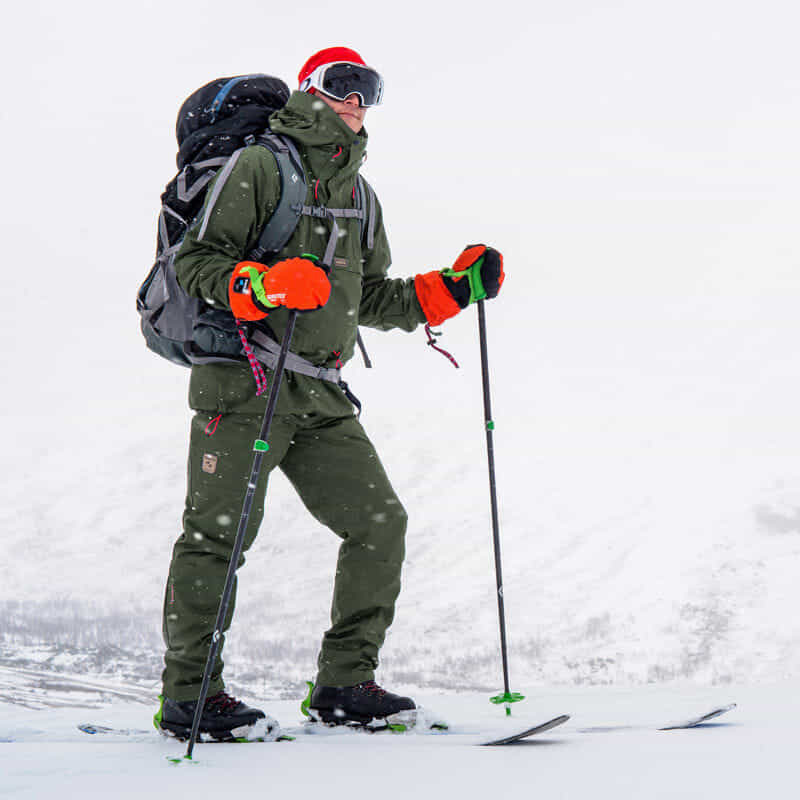 These include an adjustable storm hood with a mouldable protective peak, a zippered breast pocket, zippered hand pockets, along with an adjustable waist, hem and cuffs, allowing you to tailor it to your preferred fit. 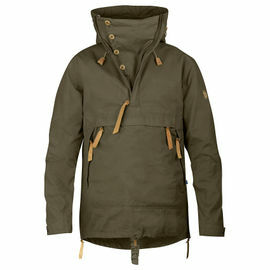 One of the main features which originally drew Ray to this anorak is its use of Ventile. 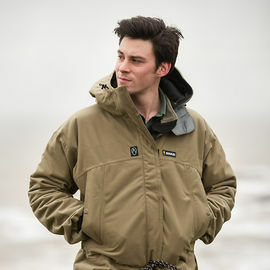 This fabric is an entirely natural product that offers a unique level of protection from rain, while also being windproof, highly breathable, very durable and quiet. As such, Ventile is seen by many as the ideal fabric for demanding outdoor use. The combination of a dense weave, along with the swelling properties of the fibres when wet, provides excellent weatherproofing in a garment made from 100% cotton. When properly cared for, Sasta garments retain their special properties and stay in good condition for many years. Attend to your clothing regularly and follow the washing instructions carefully in order to ensure that the materials retain their characteristics and your clothes can withstand hard use and demanding conditions year after year. 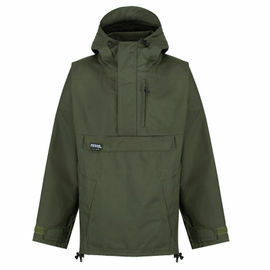 Sasta Peski Ventile Anorak - Dark Olive is rated 5/5 based on 6 customer reviews. The Sasta Peski is a very well designed and constructed anorak, with excellent seam stitching. The hood articulates perfectly with your head once the draw cords are tightened, it does not obscure your vision when looking to the sides, up or down. As mentioned in a previous review, the drawcords, I feel, should be made of a slightly heavier cord as I think those fitted may stretch out over time and loose their elasticity, as has occurred with a previous goretex jacket's waist drawcords of a similar thickness. only time will tell. In a light rain shower, the water droplets beaded up immediately on the surface of the ventile cloth, which bodes for well for use in heavier rain. The fit of the XL size, allows for layering a thin fleece underneath. I am 6' 6' with a 42' chest and have long arms, even so, the sleeve ends reach to cover the back of my hands, so bear this in mind if your arms are fairly short. Overall sizing is very similar to the Fjallraven No. 8 anorak but due to the slightly thinner and softer drape of the, ventile fabric, the Peski anorak gives a more fitted look and feel. For many years I have worn Goretex jackets in many guises but none have given the same level of comfort as the Peski . So my conclusions so far, are that the Peski anorak is an excellent piece of clothing with a lot of thought having gone into its design and it is very well made. Finally got to put this through it's paces on a dog mushing trip to Alaska, and it's performance was outstanding. Pros, big enough to wear multiple layers underneath, (inc, larger down jacket when needed), wind stopping ability is amazing. I really noticed the difference while on snowmobiles as trousers were not ventile, the hood is spacious and well designed providing good protection while still being able to see. The pockets are a really good size allowing for trail snacks, spare gloves/hat and a smaller water bottle to be carried and accessed without having to stop the dogs. The length was also just right, long enough to protect while bending. It held up well when bashing through the bushes (Sledge steering takes some practice). Cons, these were minor and due to the environment I was in. The waist elastic kept snagging on the sledge, resolved by twisting it back on itself, and the zip pulls were awkward with heavier gloves/mitts resolved by adding longer paracord ones. Overall it is a great smock and considering the weight and pack down size it will now be on all my future trips, subject to testing it in the rain next. 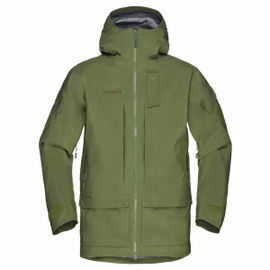 Great Anorak, really comfortable and functional. I purchased this jacket for a weeks long photography trip in the Cairngorms. After owning my previous Ventile smock for 20 years I was very much looking forward to this new garment. The cut of the Sasta is excellent. The neck and hood work really well, the drawcords are superb as are the cuffs. When worn as part of a layering system I find Ventile absolutely superb but I do think it is key that you understand how Ventile works or you could be very disappointed. If you are looking for a jacket for cutting about Keswick market square and sitting in coffee shops then there are cheaper better looking options available. 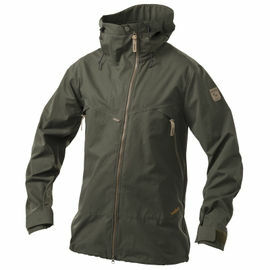 This is a hugely functional jacket, although expensive they are so easy to look after and extremely robust. I still have my 20 years old single layer Ventile wind shirt from WestWinds, although it shows signs of wear it is still functional. For my use Ventile is the perfect material. I need a robust quiet jacket that can be easily repaired and maintained. Love it. I've been using Ventile for some years now and find it much more user-friendly than man-made stuff (no noise etc.). Anyway first things first, thanks Woodlore for quick delivery. When you first take the anorak out, the two things you notice are how light it is, and the quality; it looks great! I've used it a few times now and so far it has been great at keeping the weather out, while not getting too warm. I usually wear a base layer and light fleece underneath and this works for me fine (maybe in summer time just the base layer). Now for the down points - the hood is great but not wired, but feels more like stiff foam pads, but it does seem to work very well. The Velcro on the cuffs is a bit small and I can't see them working as long as my other anorak which has studs. This also goes for the elastic cord used in this anorak, which seems thin. Having said that it still is a very good item, and well made, I just hope it lasts as long as my old anorak. This anorak is traditional in its styling being an over-the-head design. 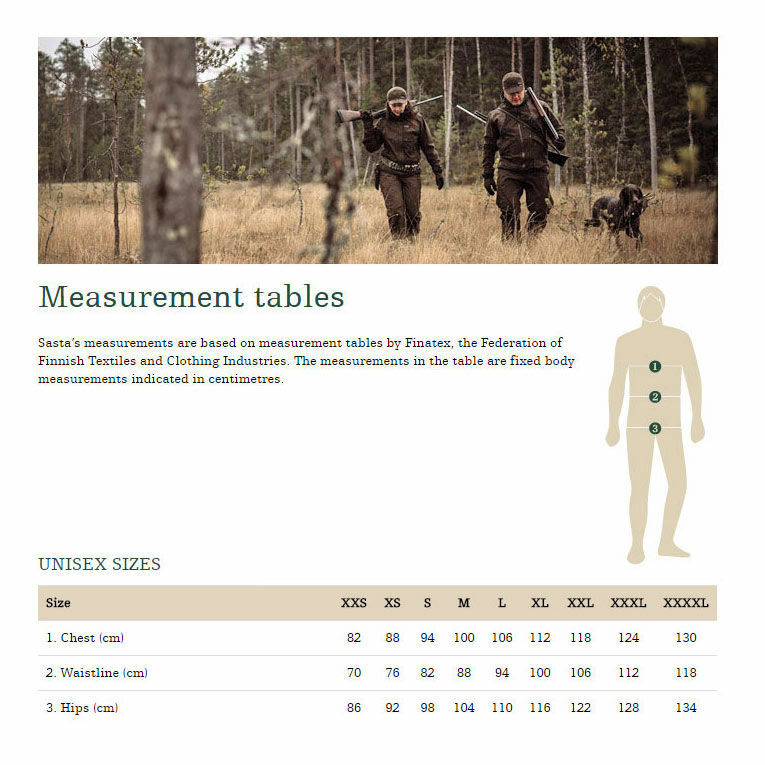 The Scandinavians know a thing or two about being in the woods, and this is often reflected in their designs, often without being mentioned in their sales/marketing information. This is very evident in the subtle features of the Peski; things you cannot see in the pictures for instance which are the little things that make a good design a VERY good design. Like the large textile zipper pull on the main zip which has a large snap lock popper on, so using it with gloves on is a doddle, and it can be locked in place stopping it from flapping in high winds and striking you in the face. 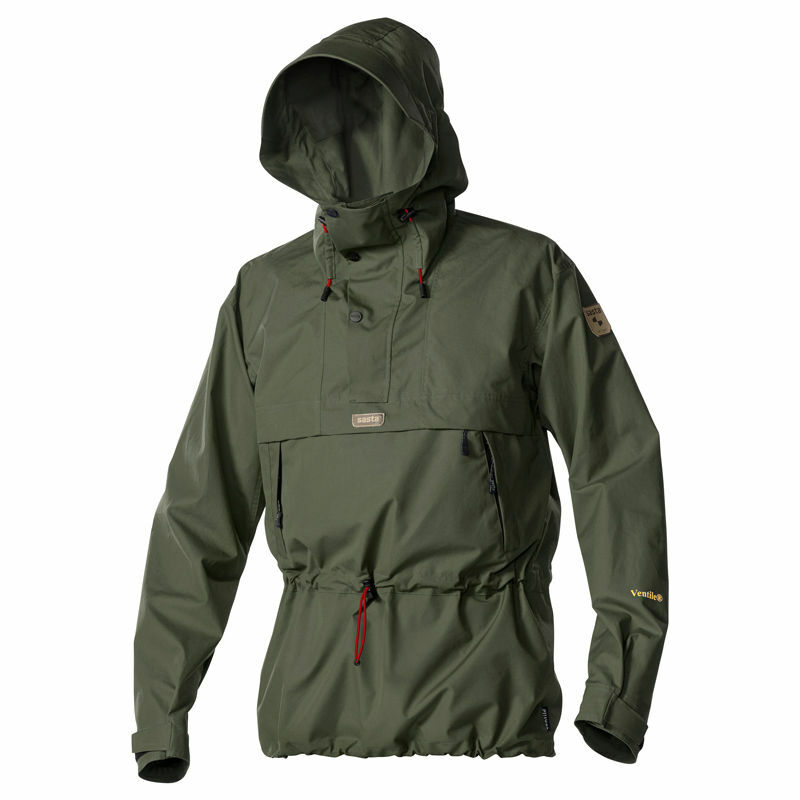 Or the large rim of the storm hood; much the same as the Fjallraven Anorak No.8, but on the Sasta it's only the top half of the hood that has the foldable rim. In high winds it'll protect your face, in heavy rain fold it back and it creates a gutter, dispersing water either side of your face; simple but genius! The neck is still really high too and you can snuggle down into it. For those not familiar with Ventile, I would suggest some googling for exact specifications and history; there's not enough room here to do it justice. For me, after years of trying many different fabrics, I wear Ventile or poly cotton. If you truly understand the layering system, fabric-type functions and the fact that sometimes you are going to get a little damp then this is the anorak for you. Ventile is exceptionally weather-proof but will wet out, but it will be a damp garment not a sodden one! Single layer ventile in my experience also dries very quickly, even through body heat whilst it continues to rain! In the summer it's cool enough to wear, providing a windproof barrier, and it'll survive heavy showers and dry out. In winter, wear wool or a good Polartec fleece like a Swazi underneath and you'll not feel the damp come through even in the heaviest of rain. The fabric swells and the fleece or wool remains warm whilst pumping the dampness back away from you. Ventile is incredibly tough and its longevity will give any modern day fabric a run for its money, arguably outliving most. It's natural, quiet and develops a lovely lived-in look too. The Peski is very light, and I mean light! You'll notice straight away in comparison to your normal outdoor jacket. The pockets are well positioned and comfortable for hand warming, and for once a waist cinch that sits on the waist for those with a long torso. The hood, as mentioned, is excellent and very adjustable. Nothing to do with function but even the leather branding label are of high quality. Attention to detail aesthetically is often underestimated; we all like things that look nice! Anyway, a great anorak, with great features for the serious outdoorsman or outdoorswoman who understand the benefits of the layering system! Highly recommended! Is this anorak single or double Ventile? No, the anorak is only weatherproof.